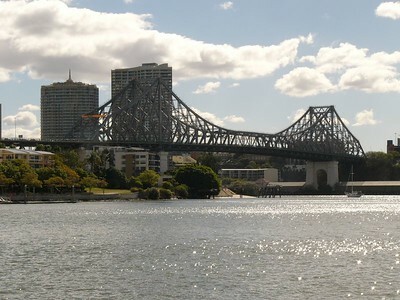 Brisbane river bridge. 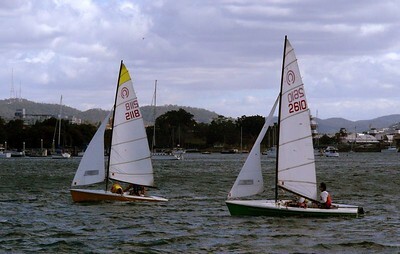 Shot with FZ10 from a moving catamaran. No image manipulation (yet). 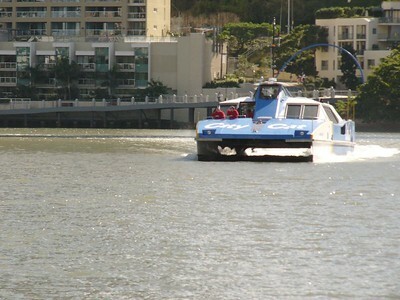 Brisbane river catamaran. Shot with FZ10 from a moving catamaran (just like the one in the photograph). No image manipulation. 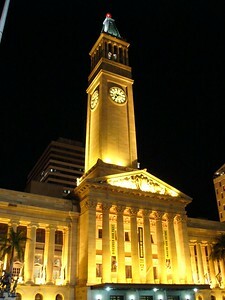 Brisbane Town Hall at night. Taken with FZ10 (hand-held). Unprocessed (but remind me to remove that flag post in the top left corner one day! 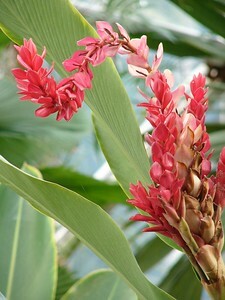 Flower at the Mount Cootha botanical gardens (in the domed hothouse). Taken with FZ10. Unprocessed. 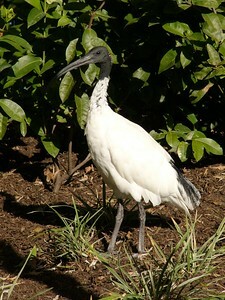 One of the many overly tame ibises at the Southbank. Taken with FZ10. Unprocessed. 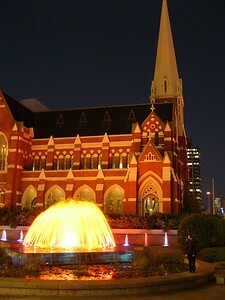 Uniting Church and fountain at night. Taken with FZ10. Handheld. Unprocessed. I think my hand was reasonably steady for this one! 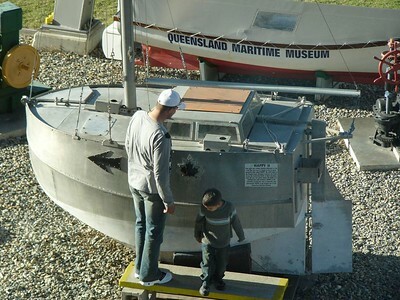 Boat used for solo trans-Atlantic crossing. Taken with FZ10. No processing. I was on a bridge, quite a long way from the subject. 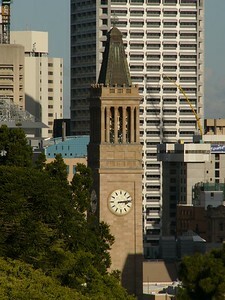 Town Hall clocktower. A 'night' photograph of the same building is elsewhere in this gallery. Taken with FZ10. No processing. 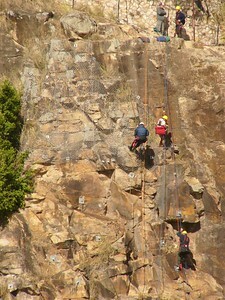 Abseilers beside the Brisbane river. 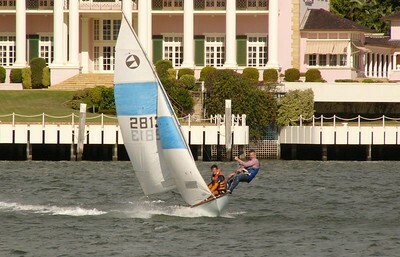 Taken with FZ10 (hand-held) from a moving boat on the river. No processing. 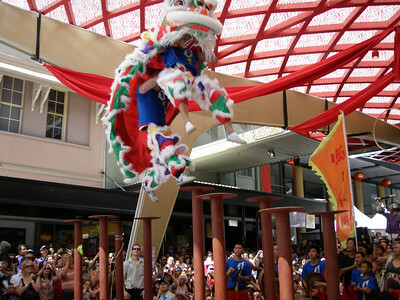 20100214_0512 Brisbane Chinatown. 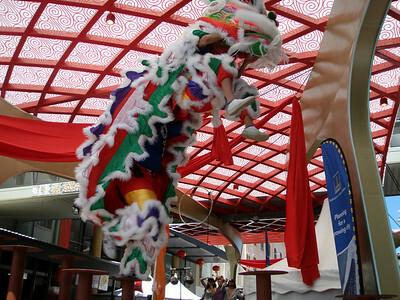 An acrobatic performance. 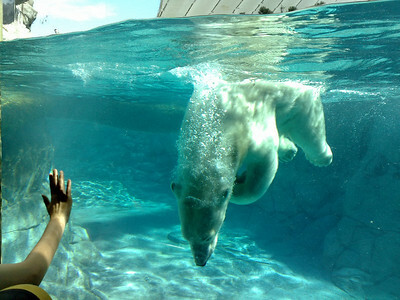 I think a Caucasian guy is at the rear, and a younger Asian guy in the front. 201002414_0511 When we last went to Brisbane Chinatown, late in 2009, the taxi driver told us that there had been a prolonged street beautification project. 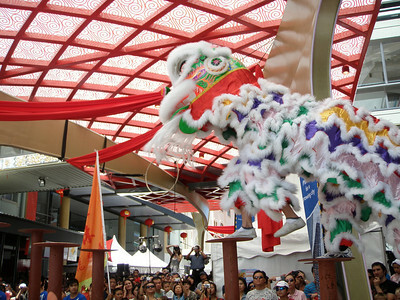 The Chinatown shop owners were 'in distress' as the resulting works had reduced the number of visitors. 201002414_1242_0513 There were still some roadworks going on when we passed in a taxi this time. 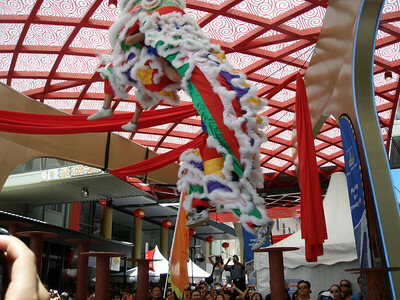 However, at least the street was jam-packed busy on Chinese New Year! The restaurant we went to, a popular dim sum restaurant on the first floor above ground, had a waiting queue snaking along the counter, and all the way down the flights of stairs to the ground entrance. 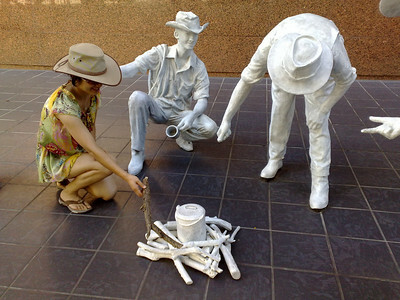 20100214_1718_1204 Sculptures of drovers from an exhibition in Brisbane. Near, I think, the Primary Industry office, not far from George & Sebel Hotel. 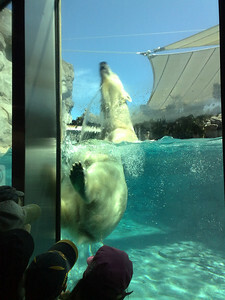 20091022_1508_1012 Polar bears at SeaWorld, Gold Coast. 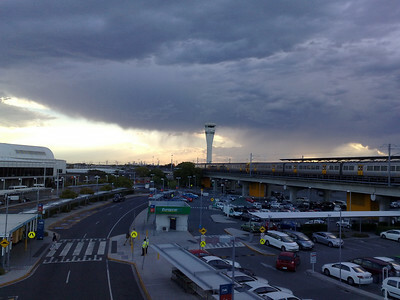 20091024_1807_1036 Storm coming across Brisbane airport.